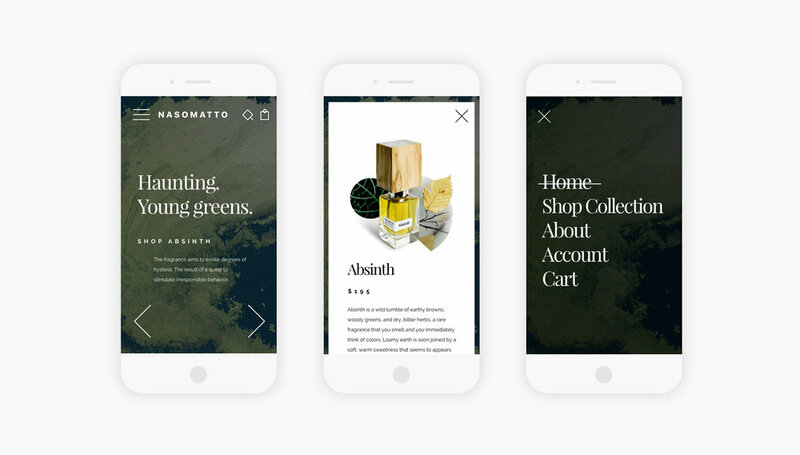 Famed perfumer Alessandro Gualtieri founded Nasomatto, Italian for “crazy nose,” in 2007. Based in Amsterdam, the fragrance brand crafts strong, distinctive scents packaged in striking architectural bottles. 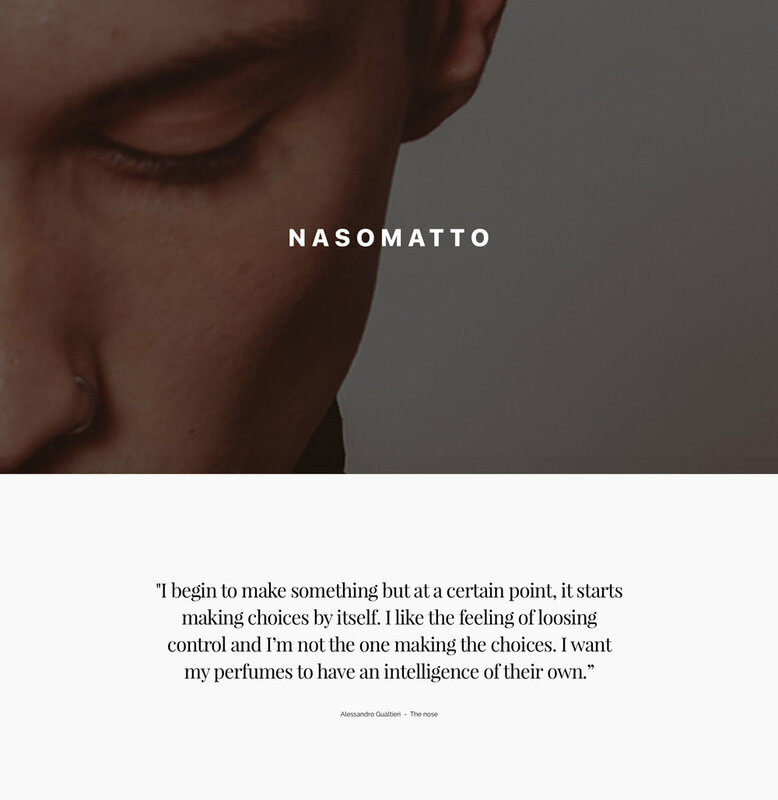 I've been a longtime fan of these androgynous, bold fragrances, and felt it was time to give Nasomatto the website it deserves. The site adopts a rich, yet minimal aesthetic, with full-screen photographic scenes contrasted against hints of nature in collage.